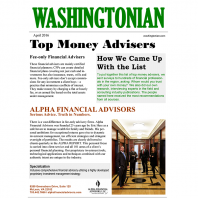 We are pleased to announce Alpha Financial Advisors has once again been selected as a Top Fee-Only Money Adviser by Washingtonian. This nomination is the result of surveys and numerous interviews of financial professionals and experts in the field asked: Whom would you trust to manage your own money? We are thrilled to be included in this prestigious selection and recognize we would not be in this position without your support and trust. 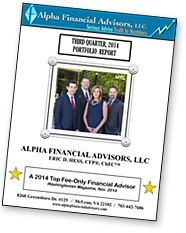 For the past 25 years we’ve dedicated our efforts to seeking exceptional returns, providing dynamic investment management and an unyielding commitment to our clients’ best interests. Looking ahead, we reaffirm our dedication to providing an uncompromised client experience that is unmatched by our peers in the industry. 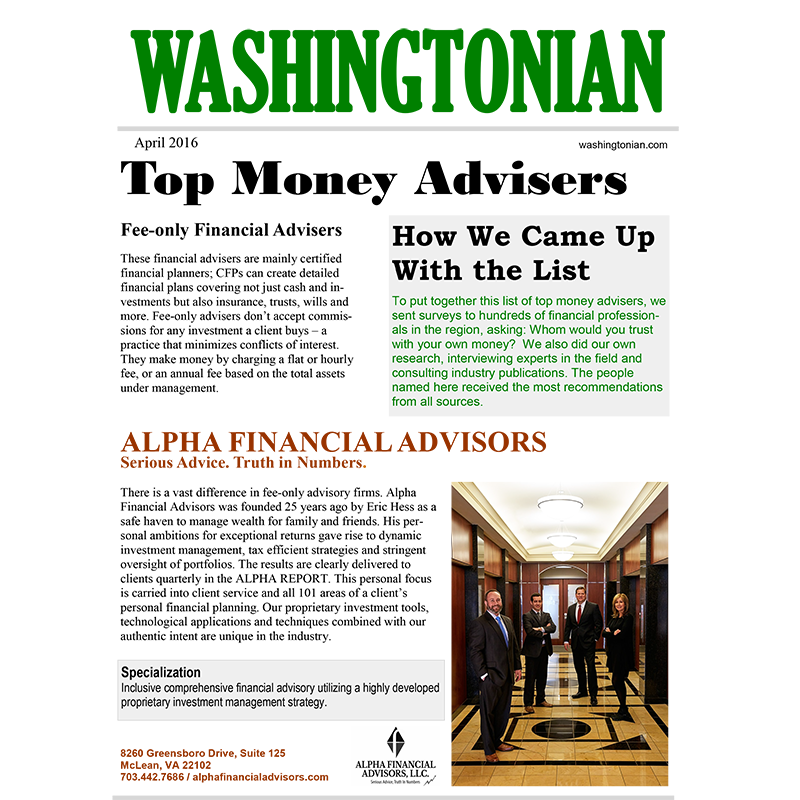 Read the article below from The Washingtonian Magazine for information regarding this process!